The farmhouse has been recently renovated and finished to a high standard. 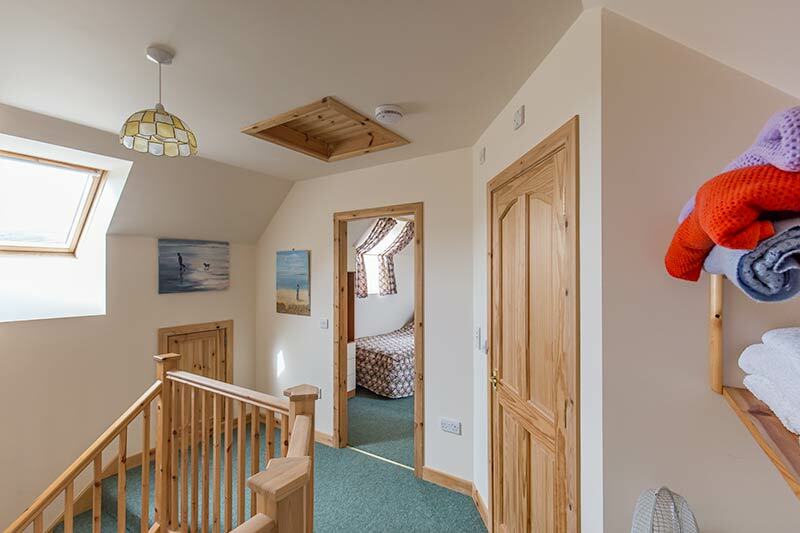 Upstairs it has two bedrooms (one double and one twin) and a shower room all equipped with extra velux windows which gives the entire upper floor a very pleasant and light atmosphere. 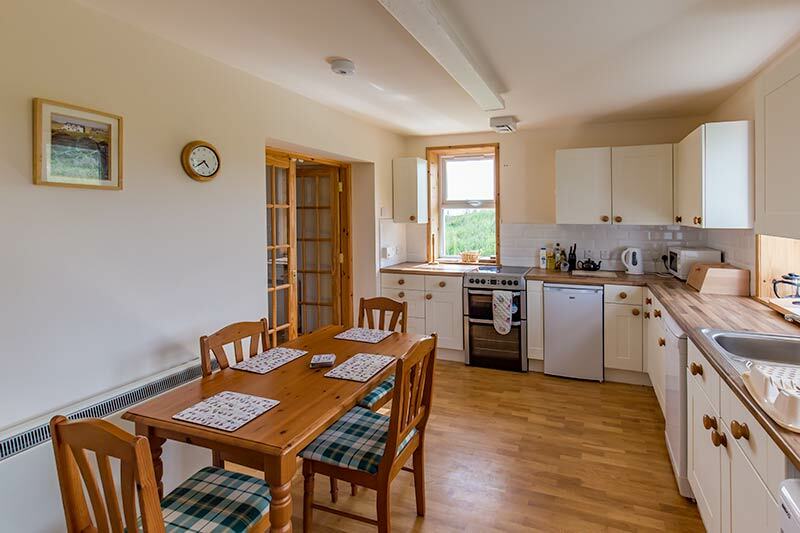 At the back of the house downstairs it has a very well-equipped modern and spacious kitchen with electric cooker, dish-washer, washing-machine and micro-wave oven. The large bathroom with bath and separate shower cubicle is also downstairs and net to it is a handy utility area for coats and boots etc inside the back door. At the front of the house is a small porch, opening into the light and airy open plan living and dining areas, which are separated by a feature wooden staircase leading to the first floor. The living area has a wood-burning stove and satellite television as well as some books and games. It is decorated with original artwork by Mina Carmichael and other Islay artists. There is electric heating throughout the house. We have satellite broadband which means that your mobile phone works here and there is internet too! Fantastic visit to a wonderful remote place, perfect for walks and for watching birds. Even saw a pair of Golden Eagles so that was an amazing sight. A big thank you to Alistair and Mina for their kindness and the great home bakes. Will be back for longer for sure!